This is a lovely stone cottage in the grounds of the owner's home, 2 miles from Caernarfon, ideally placed for Snowdonia and only 15 minutes drive to the sandy beach at Dinas Dinlle. 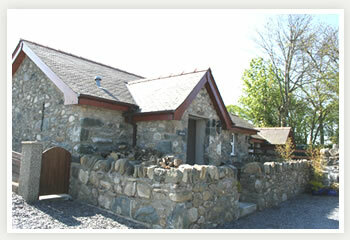 With quality rugs over sealed pine floors and an excellent standard of fabrics and furnishings throughout, this single storey cottage comprises one double and one single bedroom, a small bathroom (+ hand shower), smart galley kitchen and an open-plan living room with an open fire in the large stone fireplace. 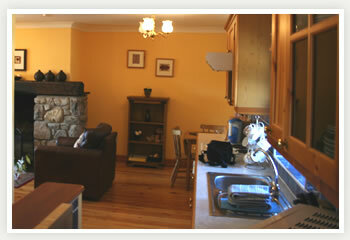 Dishwasher, washer/dryer, microwave, TV, video and night storage heaters. 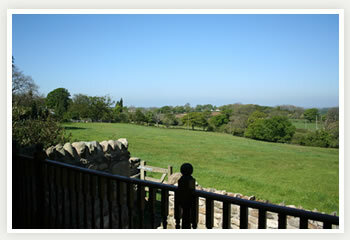 The cottage is fronted by a terrace with patio furniture and small barbecue; shop ¾ mile, 2 pubs/food 1 mile. 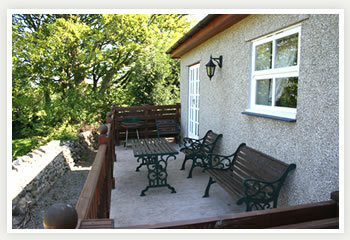 The Patio at Bwthyn Cottage has a barbecue for you to enjoy.